other sizes: 500 GB, 1 TB, 2 TB and 4 TB. TurboWrite technology, which comes with a buffer size of 12 GB. The Samsung 860 Evo 250GB 2.5" SSD can perform sequential writes at a speed of up to 520 MB/s and sequential reads at a speed of up to 550 MB/s. Evidence of the Samsung 860 Evo 250GB 2.5" SSD's exceptional endurance is in its five-year warranty. The SSD offers eight times higher TBW than the Samsung 850 EVO. This means it's capable of storing 3D data and videos as large as 4K. 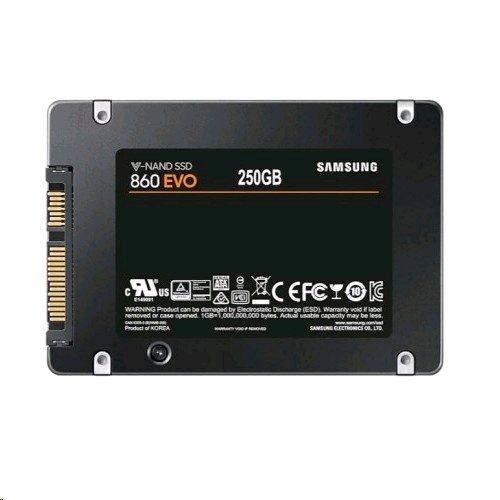 The Samsung 860 Evo 250GB 2.5" SSD is specifically designed for laptops and personal computers. The compatibility level is high, due to the MJX controller and the ECC algorithm. The user can expect fast, uninterrupted interaction between the Samsung 860 Evo 250GB 2.5" SSD and most mainstream computers. Meanwhile, for super-slim computers, we also stock the mSATA and SATA M.2 variant of the 860 EVO. 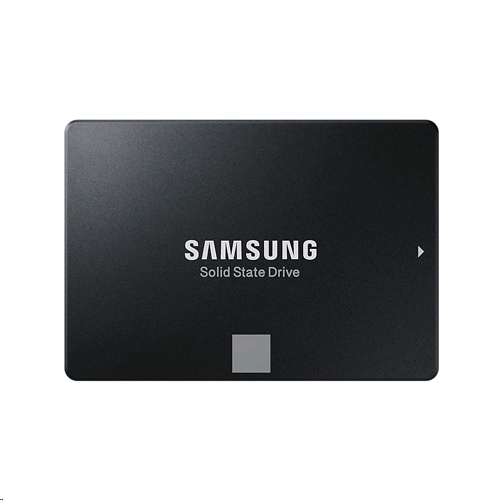 Samsung 860 Evo 250GB 2.5" SSD without any hassle. If you're looking for a safe, durable, high-quality SSD for your PC or laptop, then the Samsung 860 Evo 250GB 2.5" SSD is hard to beat.